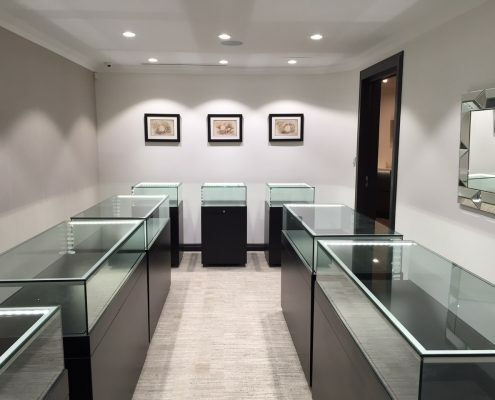 This was a unique project as the client wanted to create a multipurpose retail space. 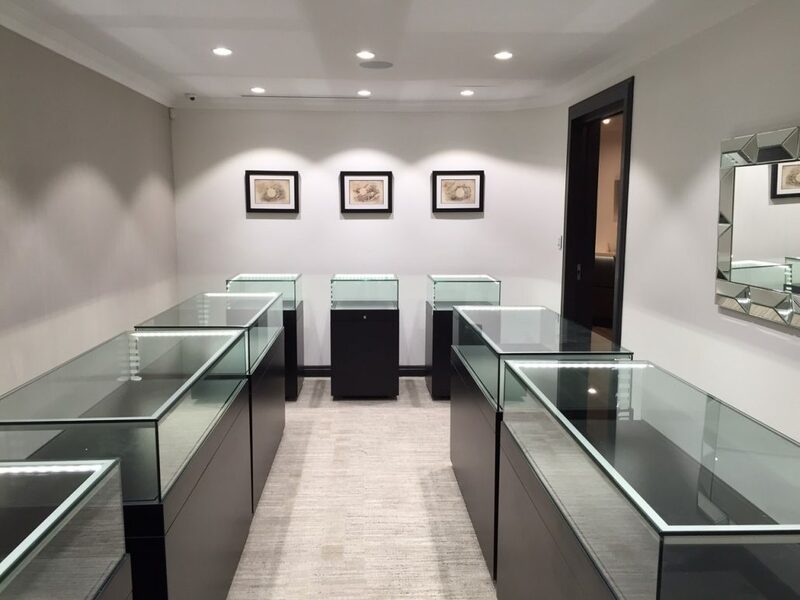 Firstly, it needed to be a sophisticated new showroom to display custom designed jewellery. This included an office/studio where she could discuss designs with clients and create new pieces on site. 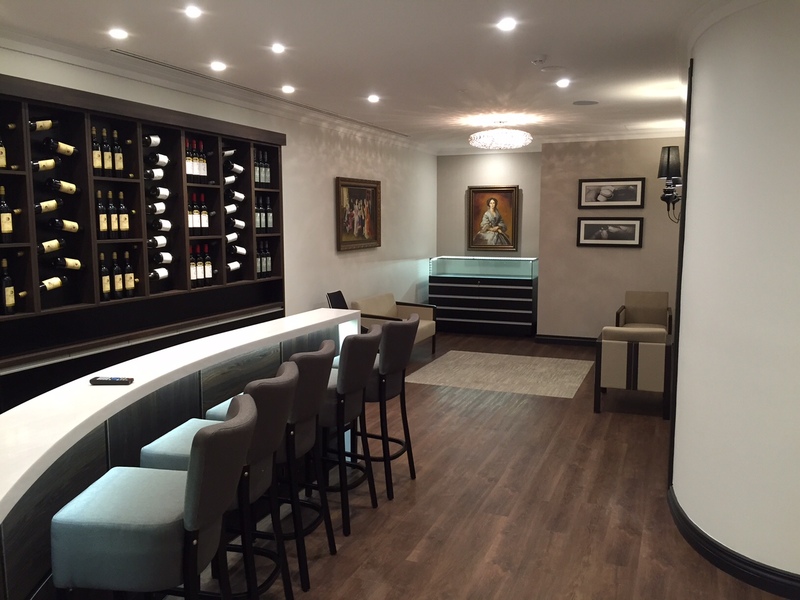 However, she also wanted space for parties, informal meetings and a display area for her collection of wine for export. With clever planning, Stiely Design was able to create a versatile space that accommodated all of these requests, while following the principles of Feng Shui, all within 94 square metres. The client is more than pleased with the results.